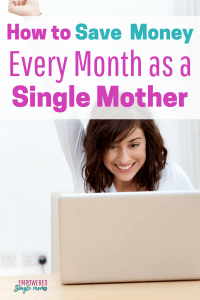 Are you worried about how to keep up with the Joneses as a single mom? I used to be, but then I realized they probably had more worries than I did. 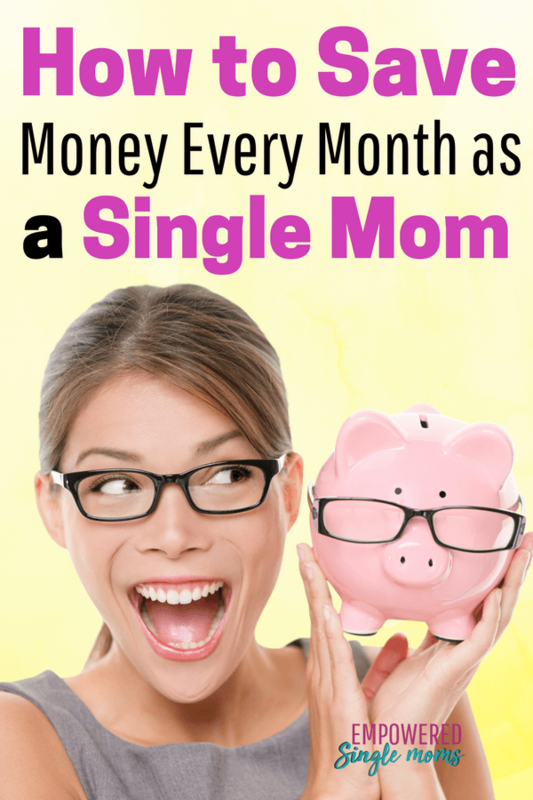 Dealing with finances is one of the biggest stresses for a single mom. You just went from two incomes to one or, worse yet, your husband’s single income to no income. You must be wondering how to save money every month so that you can make ends meet. This post may contain affiliate links, so if you buy a suggested product I will earn a small commission. We are a participant in the Amazon Services LLC Associates Program, an affiliate advertising program designed to provide a means for us to earn fees by linking to Amazon.com and affiliated sites. Read the full disclosure policy here. When your money doesn’t last until the end of the month, stress and anxiety are high. During my many years as a single parent, I have collected several answers to the question, “How can I save money every month?” Revisit some of these traditional ideas and explore some new ones too. I save $60 or more a month by using Netflix and Amazon Prime instead of cable TV. When I first cut the cable, my boys thought the world would come to an end, but after a few months they didn’t even miss it. When they went to college and could choose to pay for their own cable, they didn’t think it was worth the cost. Focus on the essentials and shop the sales, but stick to a list. Your list should include only what you need. It is too easy to overbuy when prices are good, and that can result in wasted money, spoiled food, and unworn clothing. Look at what is on sale this week and make a list. Follow your list when you go to the store. Avoiding impulse buying will save you hundreds if not thousands of dollars by the end of the year. Use these money saving worksheets to save money on groceries. Shopping at discount stores is just smart. Why on earth would you shop somewhere that charges many times more for the same item and same quality? Be proud of yourself for every dollar you get to keep in your wallet because you made a wise choice. The dollar store is my go-to stop for cleaning supplies. They are often a fraction of the price when compared to the grocery store prices and often. You might be surprised by what is available at your local dollar store. I hear you can save a ton of money at Aldi’s. (Unfortunately, the closest Aldi’s is two hours away from me, so it’s not worth the time and gas money to save the few bucks on groceries.) Luckily for those of you who are in closer proximity, this friend has some Aldi’s tips for you. Family mealtime has a ton of benefits. Meals together forge closer relationships with kids and offer many protective benefits. It is also a great money saver. If you struggle with cooking, start slow with a few simple recipes that have been tested by reliable sources (friends, family, or even Betty Crocker). Remember: your dinners don’t have to look like they were prepared by Gordon Ramsey. They just need to be reasonably healthy and tasty, preferably quick, and on the table when everyone is home. Planning ahead is the key to saving time, money, and stress. The resource library I made for you includes a plan for getting meals on the table faster than you can get a bag of unhealthy drive-thru food. Sign up and I will have it in your inbox in a few minutes. If you want more help, this meal planning system is fantastic. You can often save several thousand dollars on a vehicle if you buy a low-mileage used car. Often, there is still a warranty left on the car. I have a great mechanic who has saved me several hundred dollars by giving a used car a once-over before I agreed to buy it. He has also caught things like a broken headlight that the dealership was glad to fix when I pointed it out. I have a friend who has found designer clothes at secondhand stores. When I look at secondhand stores, my eyes glaze over. I can’t find anything for myself. But you may have a knack for discovering just the right thing. When I had babies, I hit the jackpot a few times at rummage sales with like-new baby clothes. Another time, a friend sent a huge box of adorable barely used baby clothes. Check out the secondhand options in your area, swap items with friends, and challenge yourself to find a bargain. Books are one of my favorite things to shop for, so I have found several ways to save money on my reading habit. Here are ten places to find free or dirt cheap books. It is important to take the time to have fun, but it is easy to overspend. What is your idea of fun? Something as simple as going for a hike or a bike ride as a family can make for a terrific afternoon. I put together a bunch of ideas for you to have fun for free or almost free here. I cannot overemphasize this point: Five dollars here and there can wreak havoc on your finances and stress level! 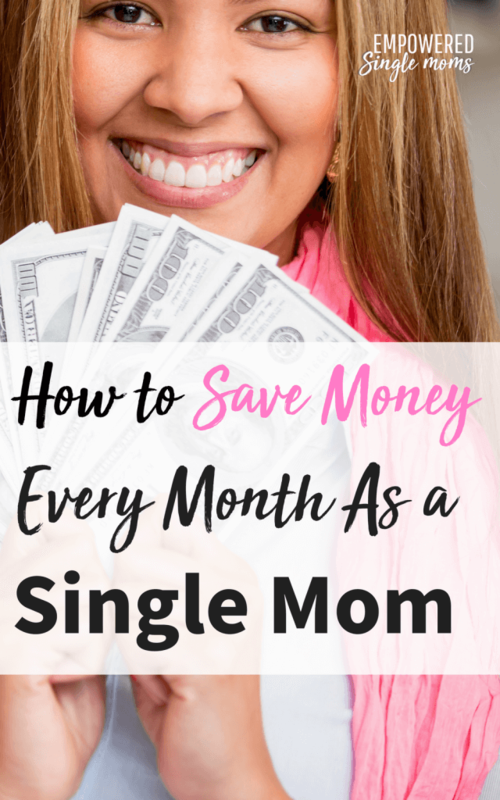 To save money and to be a successful single mom, you need a budget and you need to comply with that budget. There are some fantastic tools out there. Cash Fueled Life is one of my favorites. I tell you more about it and my favorite budgeting book here. I save 5% with my Target REDcard. I also save money with Amazon Prime and my Amazon credit card. A word of caution: there is mixed advice about credit cards, so this tip may not be for you. If you use a credit card, it is imperative that you pay it off every month. Many credit cards are over 20% interest and with a 1-5% cash back, you are wasting money if you do not pay it off on time. Try Ibotta you can earn cash back by using Ibota with this referral link, you get a $10 credit to start. Try Ebates you will get a rebate check mailed to you. Use this refer a friend link and get $10 to start. My sister finds amazing deals on Groupon. In my small town, Groupon is not much help; however, our local music program has a coupon book that I have used to save hundreds of dollars on dry cleaning, car washes, pizza, and more. It is always best to support locally owned businesses, and you can save money doing it when you keep your eyes and ears open for a deal. Look for special deals at your local stores and restaurants. Check out websites for local coupons, or locate kids organizations that sell gift certificates or coupon books. YouTube is a great resource. Start here and see if you can solve your problem with a little video assistance. Here I tell you how my son and I fixed my dishwasher and we both got to be proud of ourselves. One of the best money savers is a programmable thermostat. You can make sure the heat is down when you sleep and have the house warm by the time your alarm goes off in the morning. Most people sleep better in a cool environment, so you reap the double benefit of better sleep and more money in your pocket. Just program the thermostat to be down when you are away from the house during the day at work or school, and you can have the heat back up by the time you are home. Do you have a programmable thermostat? If not, you can easily install one. Or do what I did. When I had my furnace serviced, I asked the heating tech install the thermostat to ensure it was done right and they would be responsible for any problems. If you do need to put one in, be sure to take advantage of energy rebates. Another way to be comfortable with less heat is to dressing warmly. Wear wool socks, slippers, and long sleeves, and have plenty of blankets to cuddle under when you are reading or watching TV. I know of some homes that are kept so cool that the residents wear stocking caps while sitting around or watching TV. That is a little drastic for me, but if it works for you, just think of the money you can save–especially if you live in the north country like I do and we expect double digits below zero for days on end. 11. Plan for Christmas, Birthdays, and Other Special Occasions. It is easy to forget to add those once-a-year holiday expenses to your budget, or to be guilted into keeping up with the Joneses (who are probably either in debt or make way more money than you). This is one of the hardest areas for me to stay on track. I put together some resources to help you keep holiday spending within your budget. Staying on a budget doesn’t have to mean giving up fun. These ideas will help you with Christmas, birthdays, Mother’s Day, and Father’s Day. I dropped my health insurance and switched to a health share account. This isn’t right for everyone, but it after a trip to the emergency room that went towards my deductible I decided to evaluate if there was a better option. You can read my review of Liberty Health Share here. Make saving money a game and get the kids in on the challenge. That can keep things fun instead of feeling like deprivation. Prepare to be delighted by their ideas, and don’t hesitate to implement the feasible proposals, if only once. Now you know how to save money every month. It’s pretty easy, right? A few simple changes can make a huge difference in how much you have left in your wallet or bank account at the end of the month. Remember that when you make conscientious choices about how to use your money, you will have money for the things that truly are important to you. Let the Joneses be in debt with a life full of stress. Who needs to try and keep up with that? What money-saving tips would you add?